Product prices and availability are accurate as of 2019-04-18 15:57:47 GMT and are subject to change. Any price and availability information displayed on http://www.amazon.com/ at the time of purchase will apply to the purchase of this product. 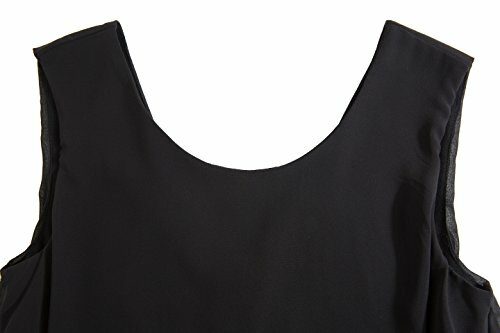 Women Casual Summer Ruffle Sleeveless Chiffon Bodycon Midi Black Dress. US 10: Bust: 36 1/2'', Waist: 28'', Hip: 38 1/2''. US 12: Bust: 38'', Waist: 29 1/2'', Hip: 40''. US 14: Bust: 39 1/2'', Waist: 31'', Hip: 41 1/2''. US 16: Bust: 41'', Waist: 32 1/2'', Hip: 43''. 18 Plus: Bust: 43'', Waist: 34 1/2'', Hip: 45''. Color/Measurement differences: As different computers display colors differently, the color of the actual item may vary slightly from the above images. Due to different measuring methods and position, please allow 2-3% measurement difference. We stand behind our products, if you are not satisfied with your purchase for any reason, we offer a full refund. Material: Jersy Knit Lining: 95% Rayon, 5% Spandex. Sheer chiffon fabric in outside layer: 100% Polyester. Pull on closure and super soft, stretchy material be easy to put on and take off. 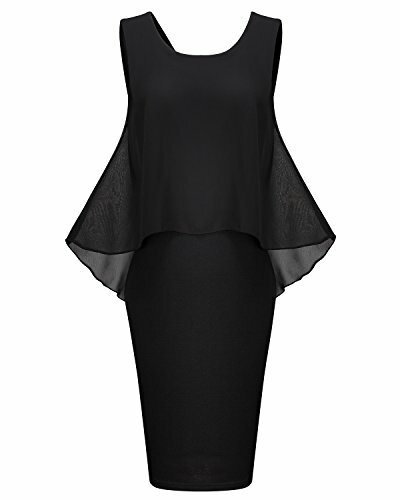 Vintage Design: Designed with round neckline, handkerchief hemline and back split chiffon overlay, this retro style, multiple dress hugs your curves while pleated chiffon cover can help show your temperament. 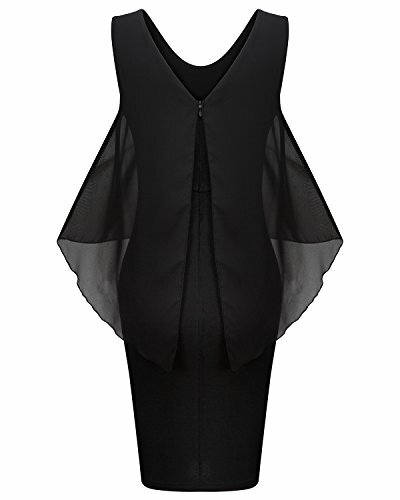 This knee length dress is certainly a must have in your wardrobe. Size: True to size. US 10-18. 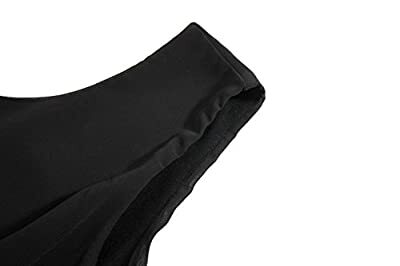 Elastic fabric and suits for different body types. Please read the size chart in the product description carefully before ordering and use similar clothing to compare with the size. 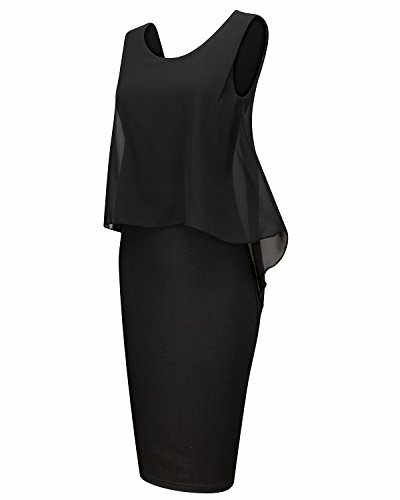 Occasions: This pretty layered dress is suitable for any occasions, formal and informal, like work, homecoming, party, cocktail, celebrity, dinner, casual, daily wear, etc. It fits for any seasons, spring, summer, fall, and winter. Garment care: Durable for washing. Hand wash, machine washable, hang dry, washed up nicely in cold water and have no issues with shrinkage and wrinkle.